Give your fireplace a make over by placing a vented gas log set inside it. No longer worry and fuss with real wood costing so much or running out. 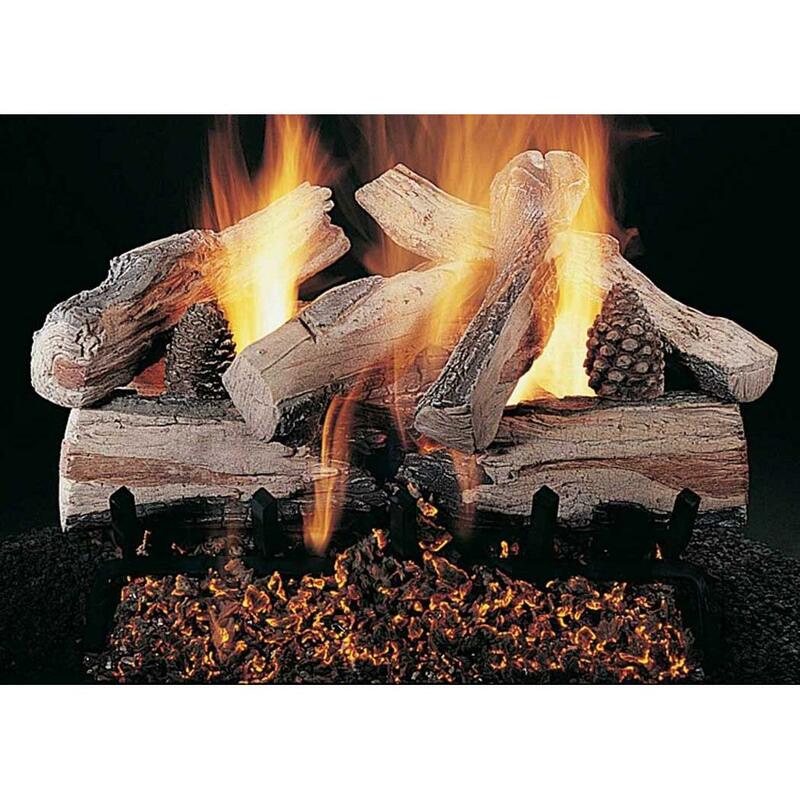 This beautifully constructed set of logs will provide the endless ambiance of a real wood-burning fire. The charred through center allows for the glowing ember bed to show through while the lustrous flames caress each log. This vented flaming ember burner is a single tube burner that produces a beautiful, dancing, variable flame. This burner has been tested and will meet the ANSI standard certifications and is only for use in fully functioning wood-burning fireplaces. This set includes an ANSI Certified manual safety pilot and burner which is lit manually by pushing in the valve knob while lighting the pilot gas with a fireplace match. You can also control the flame height with the valve knob.